You know that Imagine! does amazing things for its community, but did you know that it is also an amazing place to work? Check out the very short video below created by Imagine!’s Human Resources department to share that message with potential employees. Today, I’d like to acknowledge Erie Community Center for its support of Out & About. Out & About’s Catalog program utilized the Erie Community Center’s community room and recreation center for its Healthy Living class last spring. Thank you, Erie Community Center, for your support of your community and all of its members. This week’s Technology Tuesday is another installation of Chris’s Corner, brought to us by Imagine! Technology Specialist Chris Baumgart. We’ve already shared ways that Imagine! 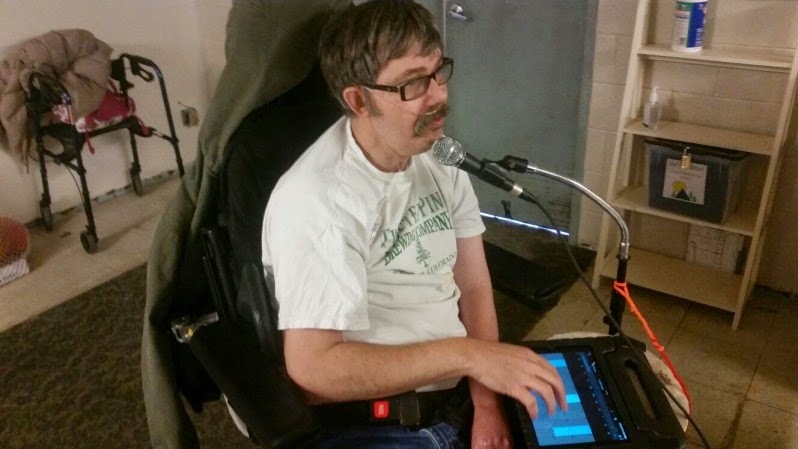 is using technology to help individuals we serve make beautiful music on their own. 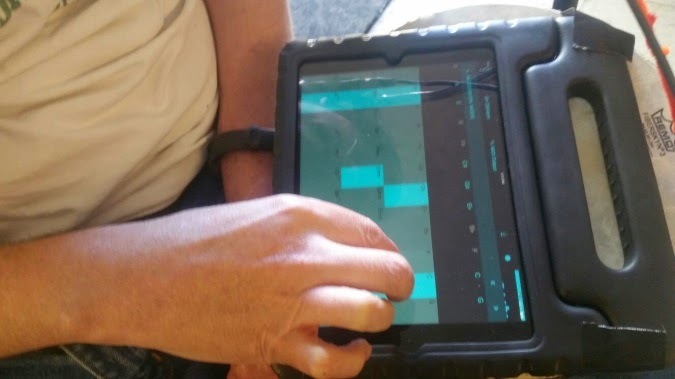 Today, Chris talks about the next step he’s exploring: how to use multiple iPads to make the experience of creating music more interactive among several musicians. Welcome back, fellow Corner-ians! At the beginning of the year, we showed you some of the amazing adaptations you can make to an orchestral setting using MIDI technology. If you missed that post, have no fear! You can simply check it out here! Not to give too much away, but we’re just now beginning to take this one step further. 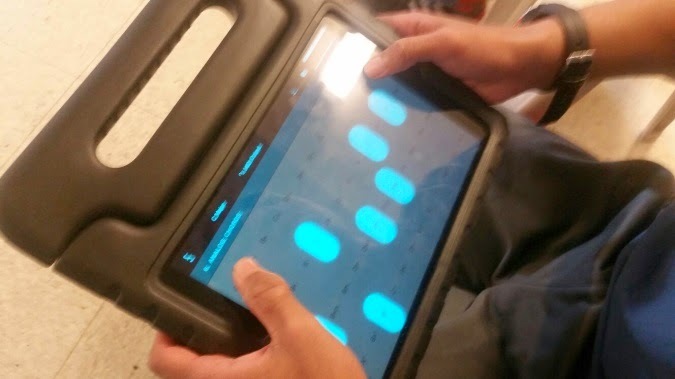 By capturing MIDI signals sent over a WiFi network, we are now turning iPads into accessible musical instruments. Depicted below, you will see a couple of participants, including our good friend Robert, using iPads as instruments that feed into the live mix. The app depicted above is a free app (Fiddlewax Blue) which allows individuals to either play the instrument locally (choosing from all types of instruments, guitar, piano, etc. ), or to enable MIDI output so that the user can play as a member of a group (band, orchestra, jam session, etc.). But this app also has its limitations. The layout can’t be changed, and for some users, there may simply be too many options. 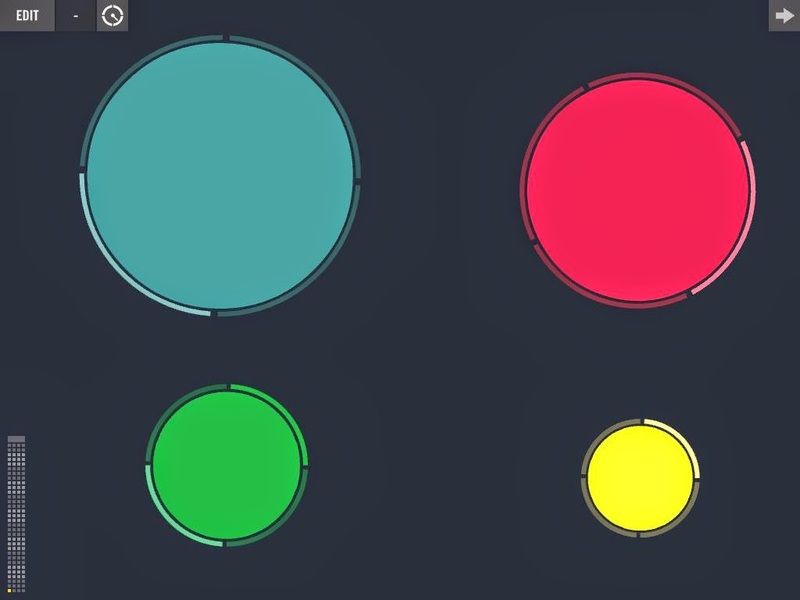 We started working with a different paid app (Beatsurfing) which allows us a fully customizable layout (pictured below). Quickly and easily depending on each individual’s needs, target skills, and/or preferences. Haven’t seen enough yet? Check out this demo video! (Please note: If you must critique on the musical content of the video, please do so gently, for I do not consider myself a musician by any means). Enjoy! And, as always, stay tuned for more to come! Today I’d like to offer my congratulations to Bridget Carroll and Thupten Dawa, two Imagine! employees who were honored Wednesday during Alliance’s Annual Intellectual and Developmental Disabilities (I/DD) Awareness Day in Denver. The two are pictured below getting an ovation from a packed house at the Denver Art Museum, which hosted the event. Bridget and Dawa were among a select group of Direct Support Professionals (DSPs) from across the state who were recognized by Alliance for their excellent and dedicated work on behalf of individuals with I/DD. The recognition was well deserved. Bridget and Dawa, on behalf of all of us at Imagine!, thank you for all you do! Check out a few more pictures from the celebratory event below. Today, I’d like to acknowledge West View Recreation Center in Westminster for its support of Out & About. Last summer, Out & About rented out a space at West View Rec Center for their Summer Camp Art Exploration class. The folks at West View were very accommodating and open to Out & About doing an potentially messy art project in their space. Thank you, West View Recreation Center, for your support of your community and all of its members. I was reintroduced to the song above recently, and a line jumped out at me that I hadn’t really noticed before. The idea that “You’ll never see the end of the road when you’re travelling with me” really resonates with me, both in my personal life and in my work experience. I won’t bore you with the personal stuff, so let me talk a little about the work part. One thing that I have always appreciated about Imagine! is the number of people who have worked here, are working here now, and who I have no doubt will continue to work here who are never satisfied with the status quo. They are always looking two or three steps ahead to see what can be done better or more efficiently. I wish I knew exactly how this very distinct aspect of Imagine!’s culture came to be. It may be a result of a highly educated staff. It may be the result of being part of a community that has always prided itself on being different and ahead of the curve in its thinking. But whatever the reason, the results are undeniable. Imagine! 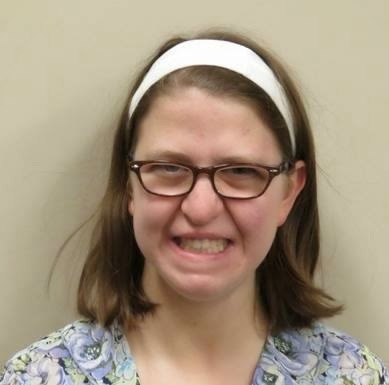 stands out locally, state-wide, nationally, and even internationally as an innovative leader in providing services to individuals with intellectual and developmental disabilities. Because of this culture at Imagine!, nobody here ever expects to see the end of the road as we continually move forward. Of course, we establish sign posts and move toward those, but they are only temporary stops. We are always exploring, and the path we are traveling twists and turns, and then there are side roads to discover. We don’t want to “arrive” – because then what? There is always something else that can be learned from the continual move forward. Stasis equals stagnation. If we think we’re “there,” then we will miss what’s next. So today I’d just like to offer a simple “thanks” to my co-workers, or more appropriately, my co-travelers at Imagine!. 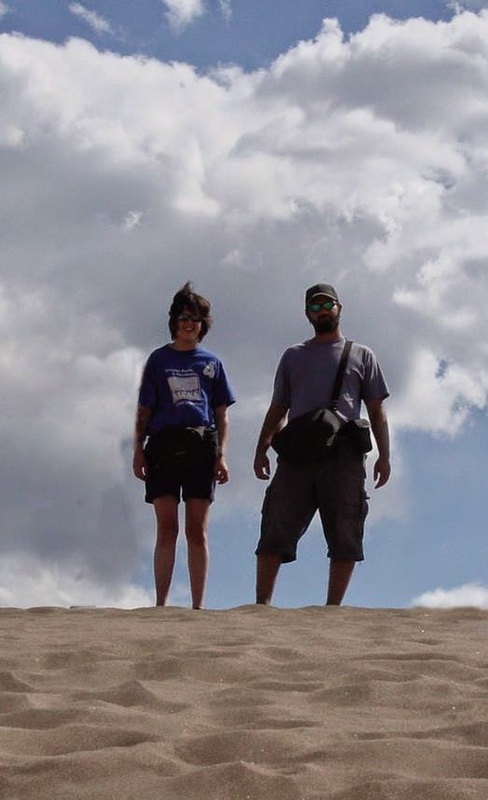 Thank you for letting me explore with you. Thank you for blazing trails. Thank you for learning every step of the way, and for sharing what you’ve learned with others. I hope to travel with you for many more years, and I hope we never arrive . . . together. collaboration Imagine! is undertaking with the University of Colorado to help address issues around new technology we develop to help assist those we serve. Two ‘SmartHomes’ have been developed by Imagine! to explore the use of technology to aid people with intellectual and developmental disabilities. There is now a partnership with the University of Colorado School of Engineering as a result of Imagine!’s efforts in this area. Imagine! brainstorms ideas based on the needs of individuals served, then presents these ideas to a freshman level engineering class. The engineering students design the ideas as part of a semester-long class project. Who owns these ideas and projects? This is a question of intellectual property. 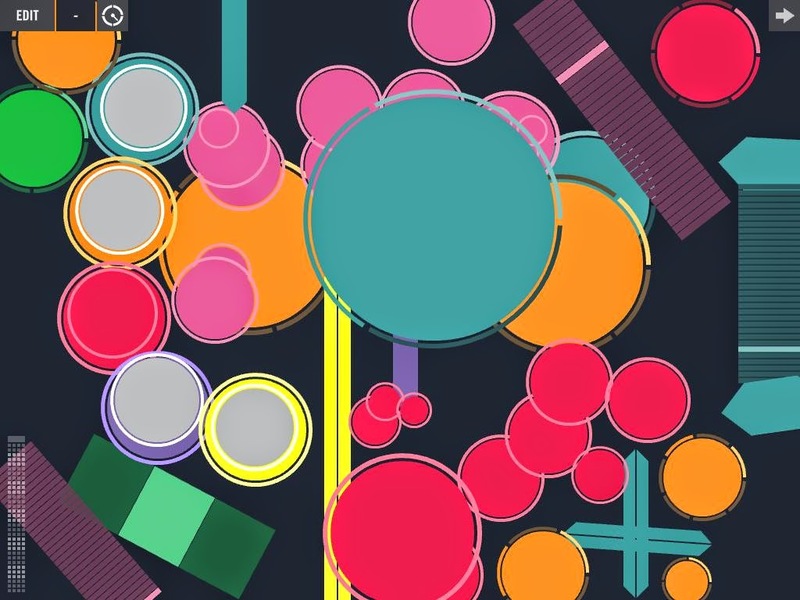 How are these concepts, projects, and products managed? What about collaborative efforts? How should Imagine! and CU address this issue, such that these relationships can continue to grow? This is a vitally important case study, as we have seen many viable products come out of our collaboration with the engineering students, and we want to explore how to take the very best of those products to see if we can produce them on a larger scale so more people may use them. But we need to make sure we are doing that appropriately, and this case study should help guide as moving forward. Thanks to students Alyssa Proctor, Jessi McArthur, Vanessa Harmoush, and Cassy Olson for agreeing to take on this case study and assist Imagine! as we continue to look for the most efficient and effective ways to incorporate technology into the lives of individuals with intellectual and developmental disabilities so they may engage in their communities in meaningful ways that benefit us all. Today, I’d like to acknowledge Parlando School for the Arts for its support of Out & About. Parlando, housed at the Dairy Center for the Arts in Boulder, hosted three music classes for Out & About’s Summer Camp last year. They provided the classes free to Out & About. The classes were facilitated by Elle Tyler, piano facility member at Parlando. 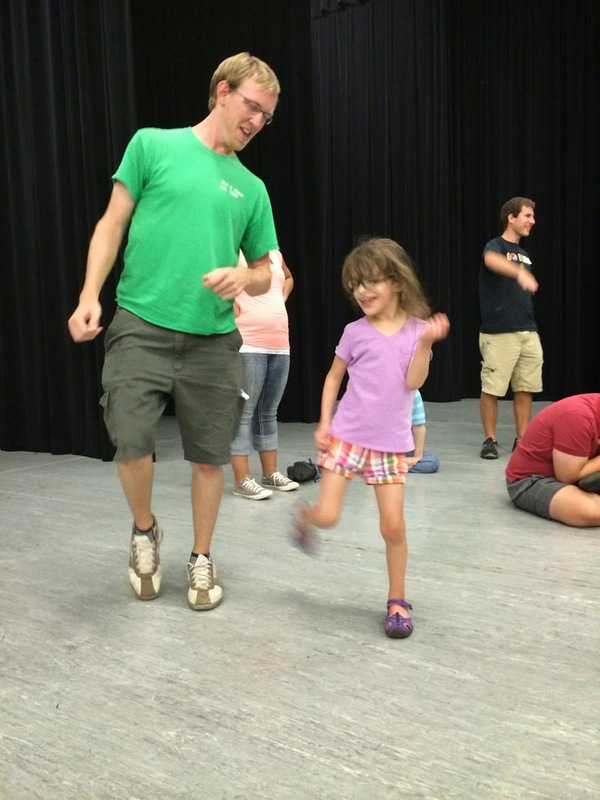 Out & About’s “Music and Movement” section of Summer Camp was definitely enriched thanks to Parlando! Thank you, Parlando School for the Arts, for your support of the community and all of its members. Bonus Parlando support of Out & About! Out & About’s Centre Stage 2015 program is well on its way and the big performance is coming up! This year, the play is being directed by Kristel Brown of Parlando School of the Arts. Not sure what Centre Stage is all about? Click here for more details! Imagine! is renovating its main administrative office building, located at 1400 Dixon Street in Lafayette, CO., starting February 23. The motivation behind the renovation is so that we can create workspaces that will better serve our needs, and more importantly, the needs of those we serve, moving forward. We are excited about this renovation, but it will mean some temporary and minor disruptions. All phone lines and email address of Imagine! employees will remain active. If you have a meeting that was scheduled at Imagine!’s Dixon Street building or in the John Taylor Conference Center anytime from February 23 through June 1, the person(s) who scheduled the meeting will contact you with the new location. If you are not contacted or not sure who to contact, just call Imagine!’s main phone number at 303-665-7789. A little more than a month ago, we let you know that students of Sri Kurniawan, Associate Professor at the Baskin School of Engineering at the University of California Santa Cruz (UCSC), are collaborating with Imagine! by having some of her students help to create apps for Imagine! clients as part of a student project. Today, we’d like to share some specifics about this semester’s projects. This year we will be working with two teams to develop five HTML5 applications for people with cognitive disabilities. The general purpose of these applications is to provide access to, and teach basic educational/communication skills to, adults with disabilities in a way that is age appropriate and customizable to the interests of the individual. One of the goals of this project is to develop a database for each game to track the progress of the user over time. The apps will be developed to incorporate an errorless learning approach (meaning, users will always select the correct answers before moving on to the next question). Each application with have two different modes of operation, a teaching mode and a testing mode. The teaching mode is a practice mode where the user gets to play freely but is still within the errorless teaching approach. The testing mode is password protected and needs to be facilitated by an administrator. This mode records the user's results which can be stored, and then accessed and compared for data analysis at a later time. This year we are working on a "concept" game, a basic sign language game, a "Simon" game for the visually impaired, and a basic object identification game. 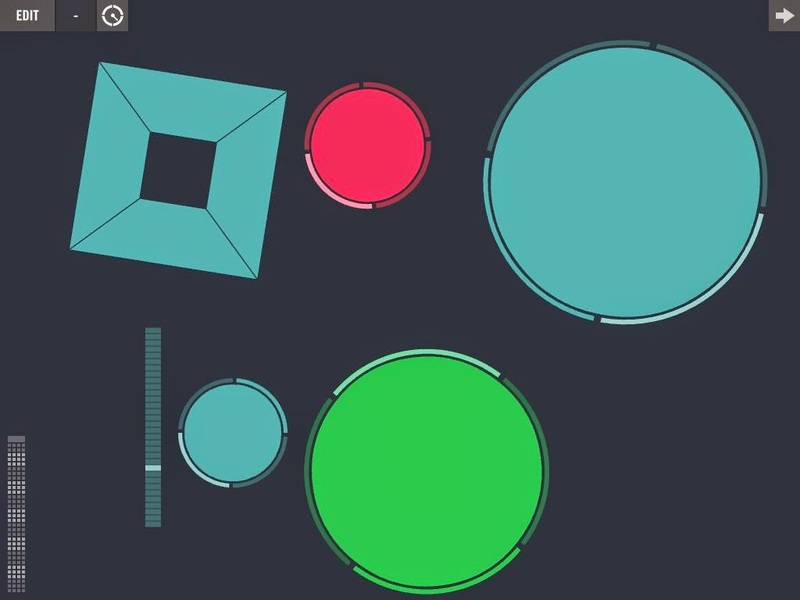 In the "concept" game, users will be tested on their knowledge of which is amount is bigger, which is smaller, longer, shorter, fuller, emptier, etc. The basic sign game will incorporate videos of basic sign language and asked the user to identify the correct photo/icon equivalent. The object identification game will teach and test users on their environmental knowledge. 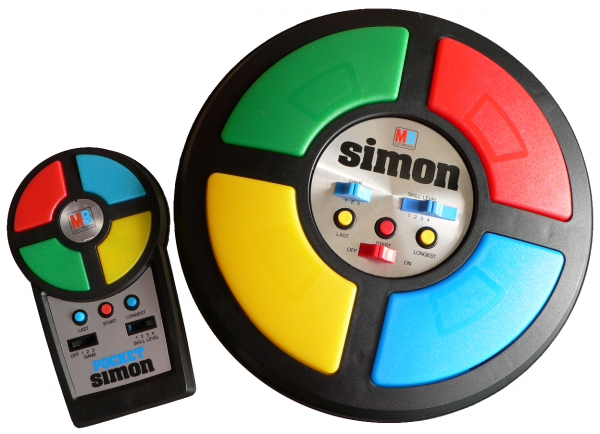 The Simon game will allow folks with visual and cognitive impairments to play games independently. Imagine! is very grateful to the University of California, Santa Cruz for all of their work on these projects and for the development partnership to create solutions for the cognitively disabled. We’ll be sure to keep you posted on the progress! Yes, February just started, but that’s not too early for the fine folks who work for Imagine!’s Out & About department to begin preparing for this year’s Summer Camp. The video below will give you a preview of things to come. 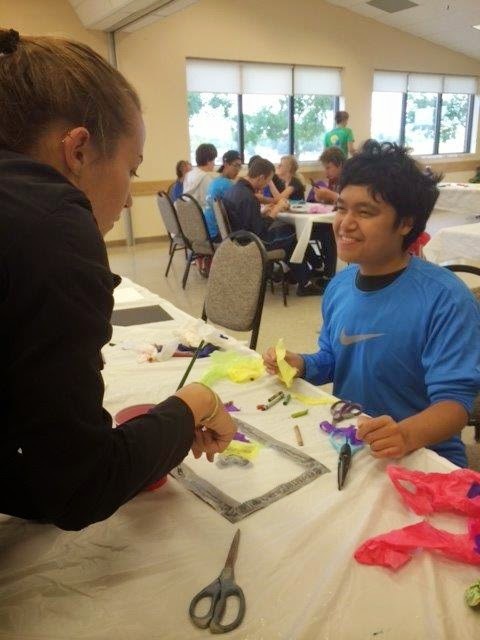 Out & About’s Summer Camp Program is designed for school aged kids with intellectual and developmental disabilities. Summer Camp offers ten weeks of full days, from 8:00 AM until 5:00 PM Monday through Friday, and is available to children ages 7 - 21. 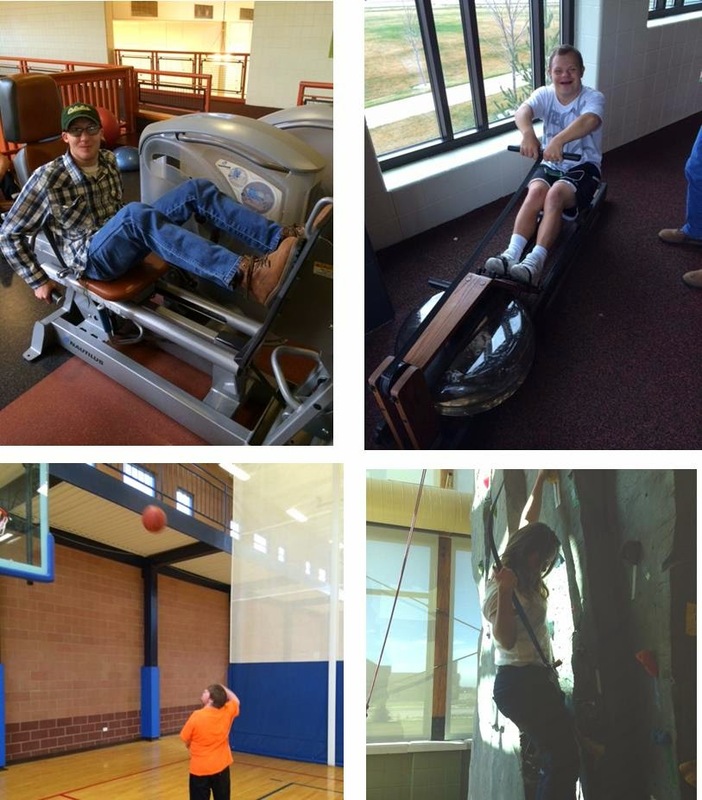 Activities include fishing, equine assisted opportunities, art exploration, swimming, movement, sports and games, gardening, as well as lots of scheduled field trips to local venues such as Water World, Elitch Gardens, and the Wildlife Experience. The goal of Out & About’s Summer Camp is to provide a sense of acceptance and self among peers, to enhance participant’s quality of life through the development of socialization skills and coordination skills, and to promote community integration. For more information, please email Elena Ciaravino at eciaravino@imaginecolorado.org, or call her at 303-926-6457. Today, I’d like to acknowledge Growing Gardens for its support of Out & About. Out & About has been partnering with Growing Gardens for many years to host a facilitated gardening class. Participants learn about all things gardening, including composting, bugs, planting, and eating fresh veggies. Participants always seem to be smiling at Growing Gardens, and they have fun while learning. Thank you, Growing Gardens, for your support of your community and all of its members.